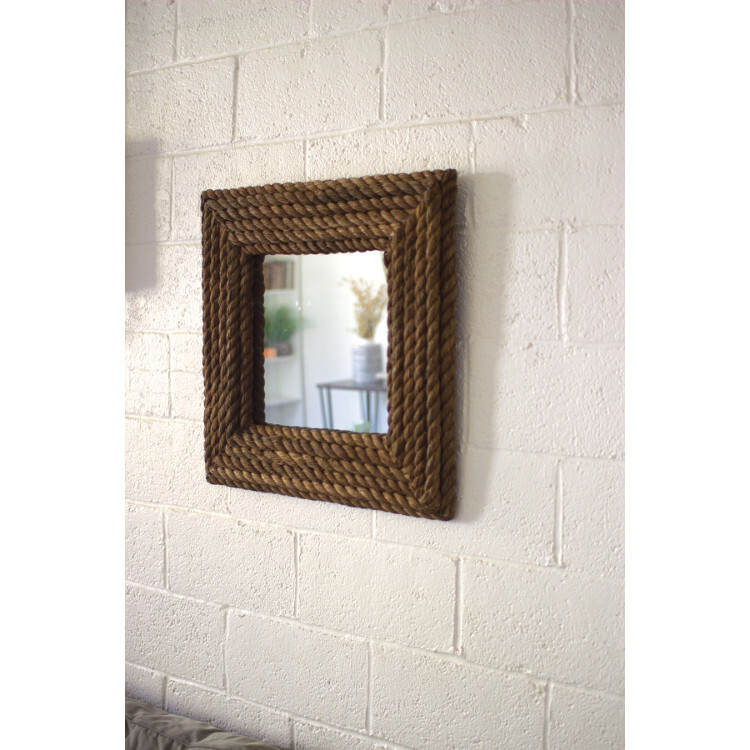 This nautical mirror is surrounded by six nautical ropes, giving it a rugged look. It's casual and versatile, perfect for any room! Wall Mounted Mirror is 26 inches by 26 inches.